Looking to plan a simple wedding rehearsal dinner? You’re in the right place! Read on for rehearsal dinner planning tips that are simple, affordable, and will make for an unforgettable evening. 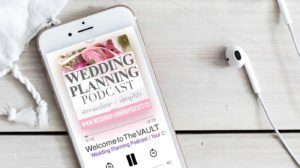 You’ll find a complete post below of everything we reviewed in today’s episode of the Wedding Planning Podcast on simple wedding rehearsal dinners – simply scroll down to review. Naturally when you’re planning your wedding, most of the energy & attention is focused on the wedding day itself. For today, we’re going to completely forget about the wedding day. Carve out this time to start formulating a wedding rehearsal dinner that is simple, affordable, and full of meaning. If you’re feeling overwhelmed or at full-capacity? The rehearsal dinner is a perfect item to delegate to parents, close family, or your wedding party members who are excited to help with the wedding plans. Not to worry – I’ll get to the rehearsal dinner itself. But first, let’s review some really important points about the actual ceremony rehearsal that takes place before “dinner” (more on that later!). Depending on the complexity of your wedding ceremony, the rehearsal itself can be very elaborate, or it can be a VERY quick run through the motions. Rehearsal day is your last (and maybe only?) 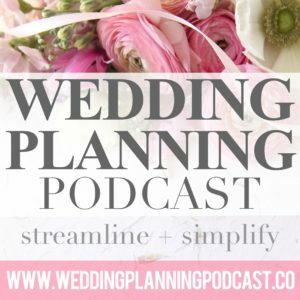 chance to have everyone together, on the same page about all the wedding ceremony logistics. This makes it even more important to take the time to think through the particulars. The rehearsal will ideally take place inside your ceremony venue, but if it’s not available the night before the wedding, don’t panic. You can still run through everything even if it’s not inside the actual church or the exact site of the ceremony. Wedding coordinator (if using one) – they will be your quarterback in keeping everyone organized, so it’s very important that they are present. If you’re not using a coordinator, anyone who you delegate to help out on the wedding day with timing and organization should be present. That could be an aunt, a close friend, etc. And lastly, your wedding officiant. The same folks who attend the ceremony walkthrough should also be invited to the rehearsal dinner. Read on for casual rehearsal dinner ideas … Photo courtesy of Tammy Horton Photography. 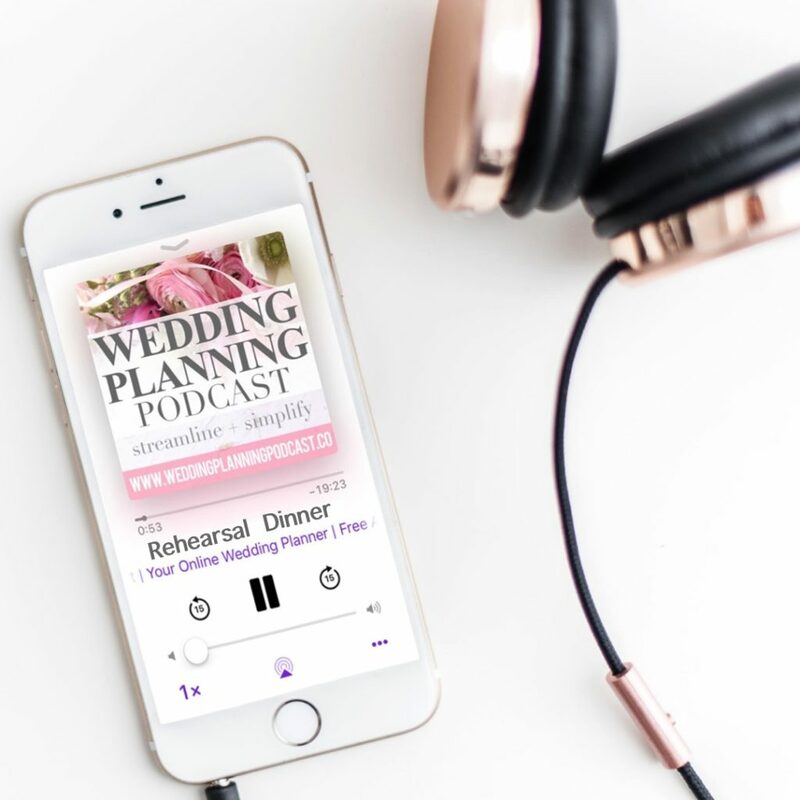 If you’re in the thick of planning, I can totally appreciate how even thinking about your rehearsal dinner may feel overwhelming. You’re swamped, frantically adding things up, having nightmares about dollar signs, and on top of it all, you have to plan and host, and pay for a separate party on top of everything else. #nothanks! 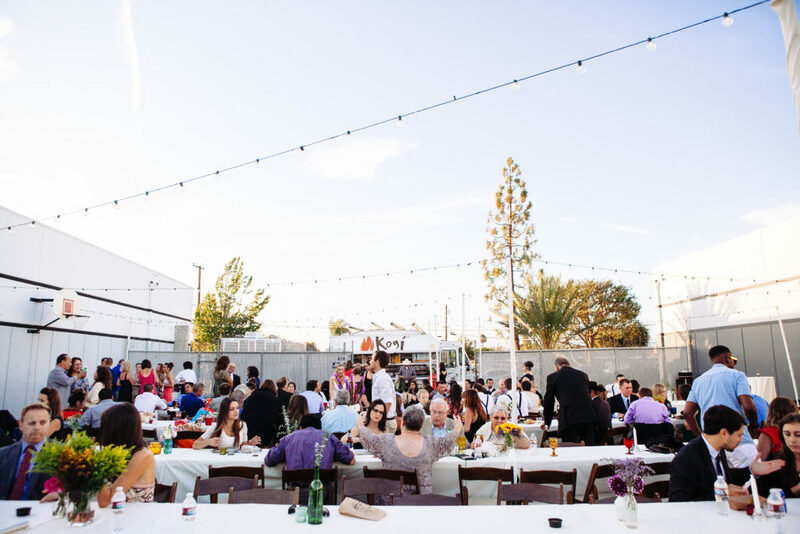 Not to worry – planning your rehearsal dinner doesn’t have to be overwhelming, or expensive! The good news is that you definitely don’t have to take 50 of your closest friends and family out to an expensive restaurant, and then pick up the tab. Whew! In my experience, simple wedding rehearsal dinners are the best kind. Let’s look at some ways to keep your wedding rehearsal dinner super simple, and really affordable. Simple wedding rehearsal dinner at the park. There’s no rush to be in or out at a certain time. Keep the food and drinks really simple. For example, BBQ, beer and wine. Assign a handful of people to grilling duty. Sample menu items – gourmet hot dog & burger bar. Ribs & sides. Seafood kebabs. All of this is really easy to prep ahead of time, cook outside, and serve very casually. For drinks, keep things simple with bottled water & sodas, maybe a keg of your favorite beer, and of course, don’t forget the wine! 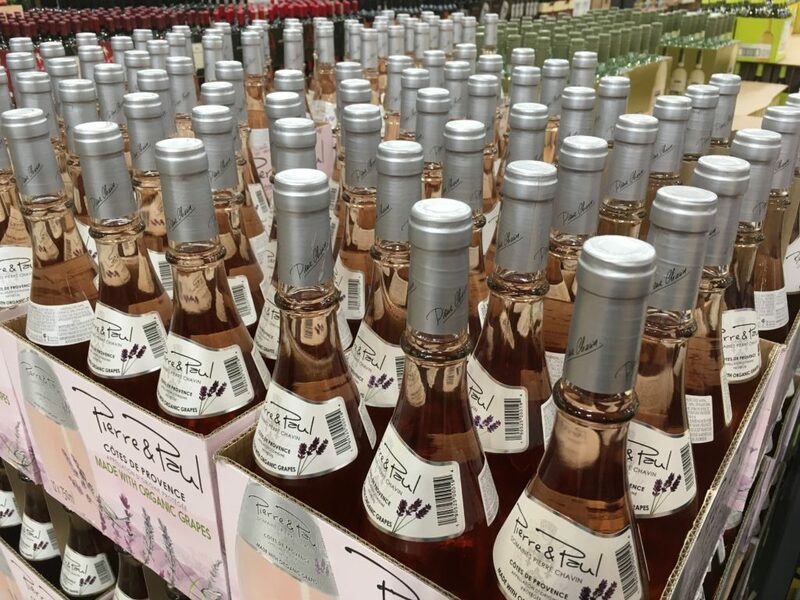 Shop your local warehouse store or grocery store and take advantage of sales and multi-bottle discounts. Shop amazing deals at your local warehouse store! My fave? Toasted Head Chardonnay for $5.99 at Costco. Let’s be real – things can add up really quickly when you’ve got 30, 40, 50 people each ordering their own food and drinks at a restaurant. An alternative is to arrange a set menu with your favorite, causal restaurant, and serve things family-style or buffet-style. The idea here is that rather than giving your guests each a menu and having them order a $25 entree and 5 drinks, you’re controlling the menu and the cost from the start. Many restaurants will offer a private party or banquet room with a minimum tab requirement. Call around for quotes on casual family-style / buffet catering at your fave local restaurants. Sample rehearsal dinner catering menu #1: At your favorite Chinese restaurant, arrange for 5 large portions of your favorites, along with noodles & rice sides. Sample rehearsal dinner catering menu #2: Casual Mexican food – arrange for a fajita buffet, or a few large dishes of enchiladas, rice, and beans. Stipulate beer and wine only, or one drink per person. Limit drinks to non-alcoholic bev’s for even bigger savings. And finally, consider a mix of these two ideas – forget the restaurant, take a very casual backyard or park setting, AND bring in very simple, very affordable catering for everyone. If you don’t have access to a backyard, think about local parks, lakes, beaches, community centers where you could set up. You may need to apply for an event permit which is typically very easy and very cheap, just check with your local parks & rec folks, or make a few phone calls. The catering menu for this rehearsal dinner set up can be as simple as sandwiches, chips and a couple salads from the grocery store. 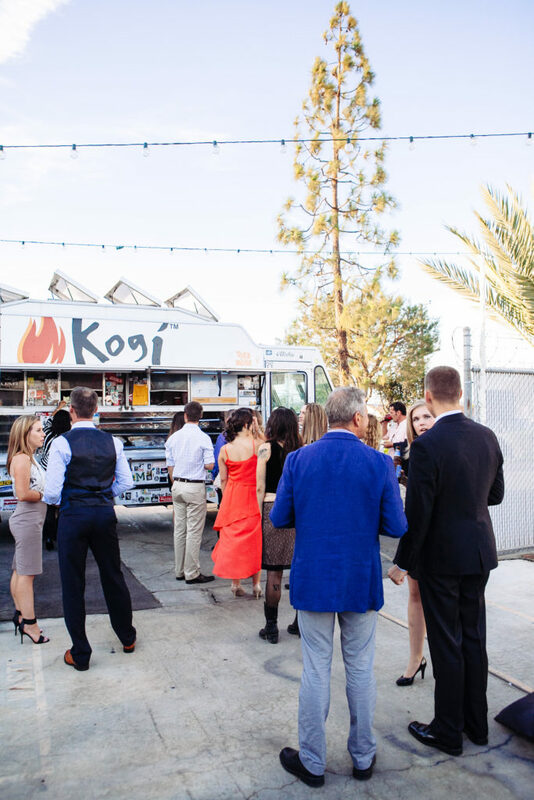 Or even bring in a really fun & unique food truck. Who pays for the rehearsal dinner for a wedding? Every budget situation is so very different – this can be a convo for your fiancé to have with his parents, ideally in the early stages of the wedding plans. The parents may be thrilled to help and foot the bill. It’s also possible that they are NOT in the financial situation to offer any help at all. The best way to approach any requests for money from parents is for each of you to speak directly and privately with your own parents, with the graceful and given understanding that the parents may not be able to provide any assistance at all. Scroll up – we answered this very question above! Keep the rehearsal guest list small! Put VERY simply: the fewer the people, the smaller the tab. If you find yourself wanting to include all the aunts and uncles and cousins and out-of-towners, you may want to put on the brakes, and dial it back to the bare essentials. This includes your wedding party, parents, grandparents, and siblings. I know every family dynamic is very different, so this is unique to each and every couple. 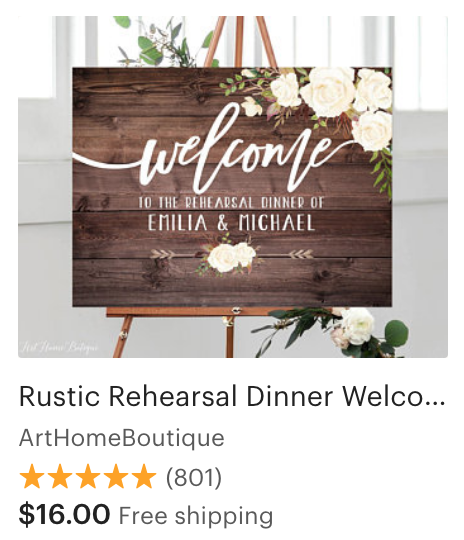 With that said, do your best to keep your rehearsal dinner invite list as small as possible for maximum affordability. YES! This is a wonderful question. Your rehearsal should be planned out and organized with specific activities & timeline well in advance to avoid the “stressful whirlwind” effect. Organize a slideshow – this is a really sweet and meaningful project to delegate to mothers, and/or aunts. Dedicate 20-30 minutes for everyone to sit and watch together. Collect photos of you & partner from birth – present day, and scan into a digital slideshow with some of your favorite songs. Have tissues available – this is a guaranteed tear-jerker! Another fun slideshow idea – create an interactive rehearsal dinner slideshow of the candid photos you’ve taken WHILE planning the wedding! 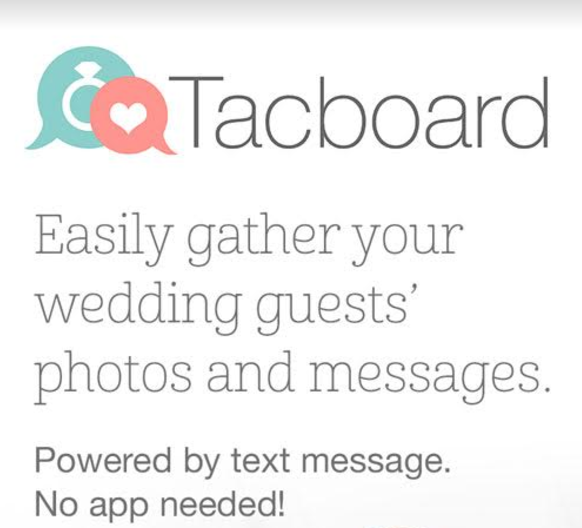 TacBoard allows your friends & family to text their wedding planning photos in to a dedicated online gallery. Include pics of you & your sweetie venue shopping, attending wedding shows, craft nights with the gals, the cake & catering tastings, etc. You’ll also find detailed instructions for how to project a slideshow right from your TacBoard account. 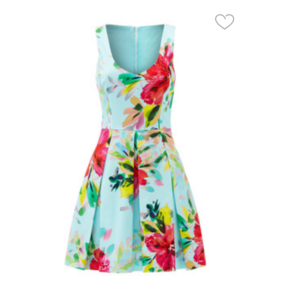 The rehearsal dinner is also the perfect time to hand out gifts to your parents and wedding party. Take a few minutes to thoughtfully address each and every person and express your thanks and gratitude. Plan for the room to be quiet and paying attention for the gift-giving. Use your designated “MC” to get people’s attention, and keep time. 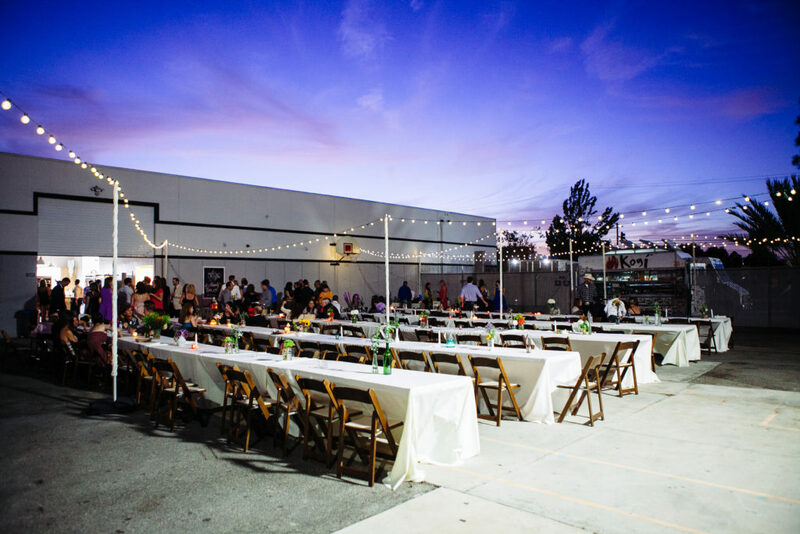 Last rehearsal dinner planning tip – start early! Don’t let the rehearsal dinner get shoved to the end of your planning list, and creep up in the weeks before the wedding. With some thoughtful pre-planning and organization, you can pull off a rehearsal that is simple, affordable, AND meaningful. Questions for me about todays show? I would LOVE to hear from you, and you can always be in touch by visiting wpp.co/contact or leaving a comment below.